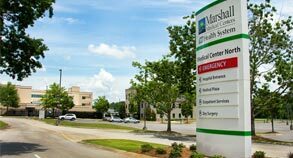 Check here often to find out about the latest news and events at Marshall Medical Centers. Here you'll find links to press releases and upcoming events that will keep you abreast of what's happening at our medical centers and in our community. Join Marshall Medical Centers and dozens of vendors providing free health screenings for a fun day next to Guntersville Lake that includes free breakfast and lunch, music and door prizes. No charge but please register so we have an accurate head count. 256.571.8032. If you are attending with a Senior Center, you do not have to call to register. Don't miss this event that has been called Alabama's largest gathering for seniors! Blood Drives are held in the classroom in the Physician Office Building inside Marshall South. Go in the main entrance and turn right or from the POB entrance, go to the first floor. The classroom is just past the elevators. Blood Drives are held in the 3rd floor classroom in the Medical Plaza building next door to Marshall North. 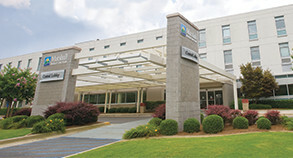 Diabetes Management Classes meet monthly at Marshall Medical Center North. Classes are held in classroom A on the 3rd floor of the Medical Plaza next door to the hospital. Note: You MUST have a referral from your physician to attend classes. For more information, call Julie at (256)571-8052.